Second Garmin GPSMAP® 1242xsv Touch 12"
Adding a second screen duplicates all of the functions from the first screen and adds display real estate. Instead of having to split a single screen, you are able to split functionality across two full size displays. Keep in mind that all of the information is shared with both screens, meaning you are able to set each one to display exactly what you need. 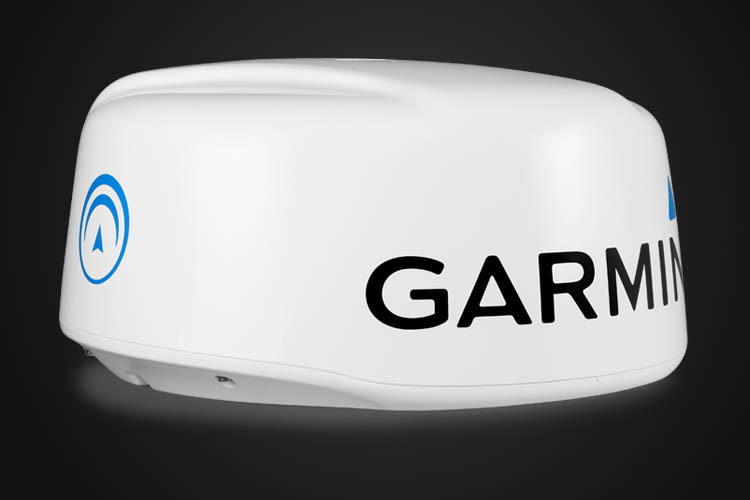 The 18-inch, 40 W solid-state Garmin GMR Fantom 18 dome radar features MotionScope technology, which uses the Doppler effect to detect and highlight moving targets to help you avoid potential collisions. 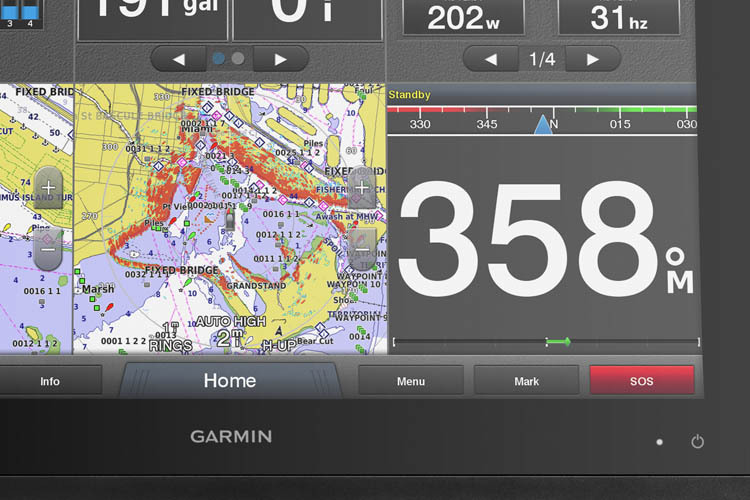 Fully integrated with the Garmin chartplotter. 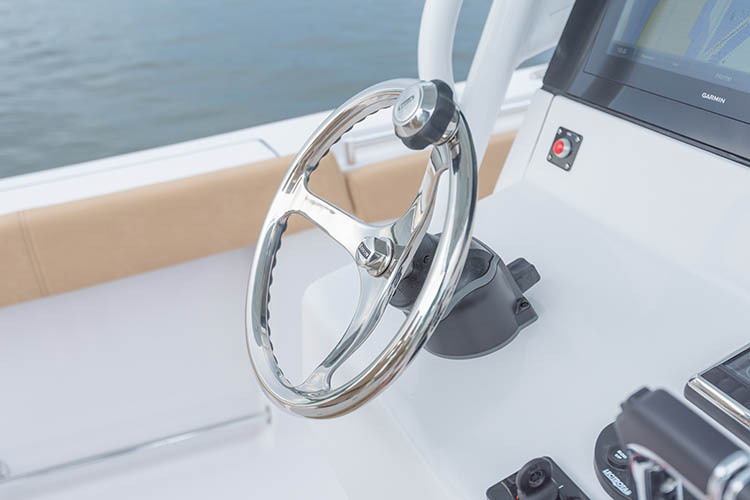 This option adds an additional mounting bracket for boats equipped with the second station as the regular mounting location for the dome is taken up by the second station. This radar provides advanced features, including beam sharpening for target separation control and increased target detection capabilities. A great addition to any SportLink&reg; package. 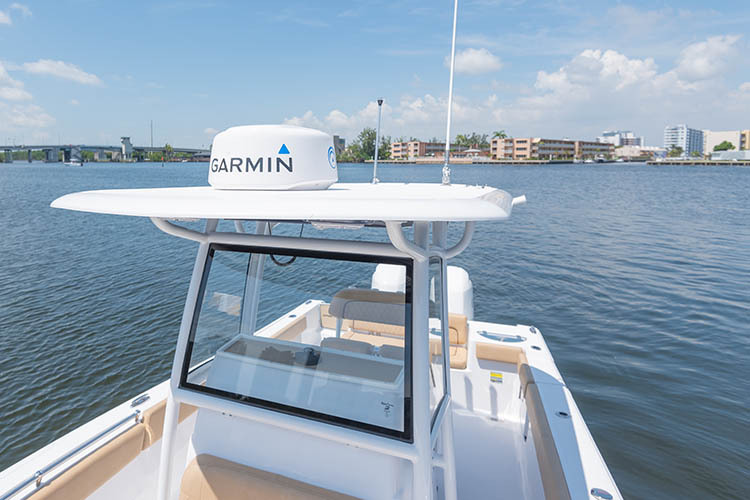 The GXM 53 SiriusXM® weather antenna lets you enjoy added confidence and peace of mind on the water by always having access to the most current weather conditions and forecasts. The antenna adds highly detailed weather information directly to the screen including current weather information, NEXRAD, lightning, water temperatures, wind and wave current conditions and forecast data. 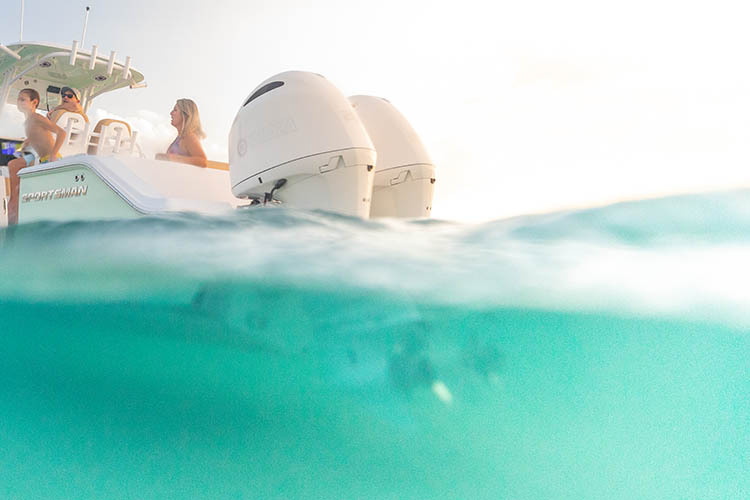 The JL Audio Ultra Premium M6 upgrade features the all-new M6 marine loudspeakers, the benchmark for high-performance marine audio. 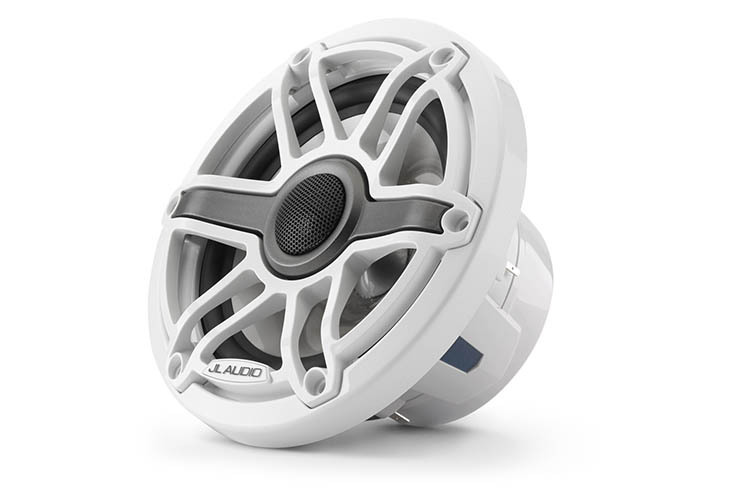 The M6 speaker' low-distortion woofers and silk dome tweeters with tuned rear chambers spread audio energy evenly in every direction. This results in smooth, clean sound from a wide range of mounting locations. This package also adds M-Series amps and the MediaMaster MM100 source unit. 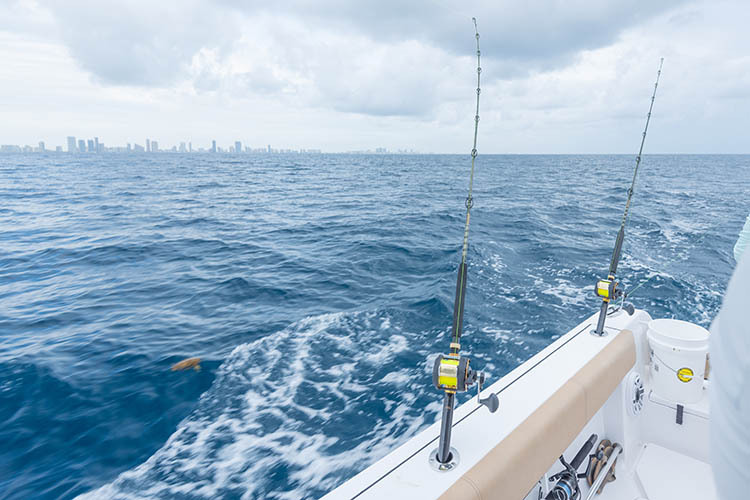 With a range of up to 1500 ft, it is ideal for sportfishing. CHIRP technology delivers target resolution and depth penetration superior to traditional single-frequency sonar. 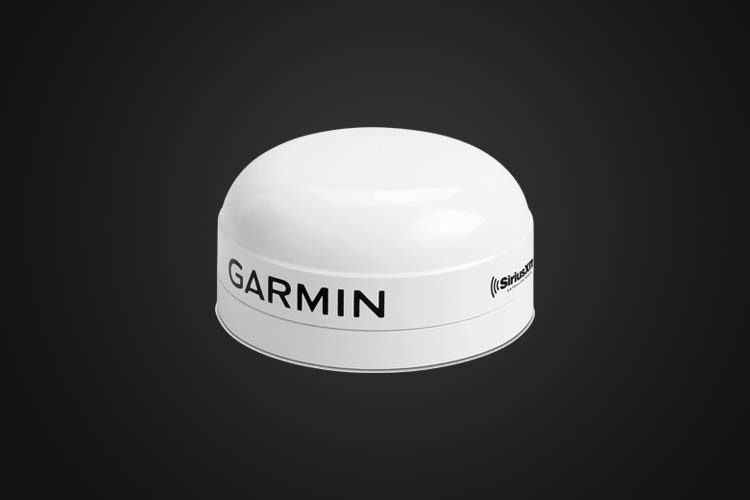 This transducer is able to measure both depth and temperature in a single package, with a simple installation that requires just one connection to your Garmin multifunction display. Removable fishing chair for the bow of the boat. When not in use, the leg is removable for a more compact storage. 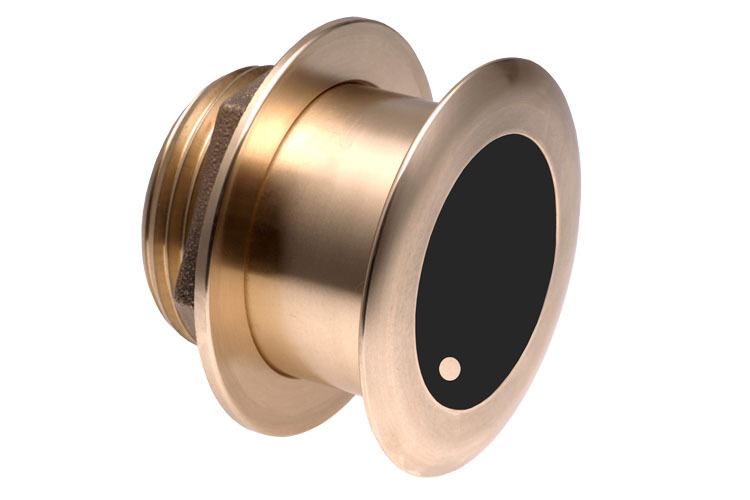 It is installed with a flush metal plate that remains on the deck permanently. This option is a single removable large cushion to cover the front most part of the deck. It is typically optioned in conjunction with our Removable Bow Backrests with Cushion to completely fill the bow with cushions. 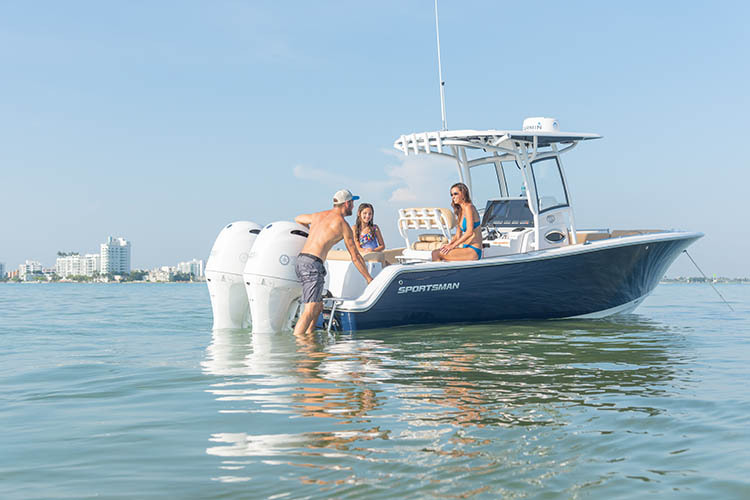 For complete access to the center storage box and anchor locker, the cushion bi-folds horizontally, allowing for access without the need to remove it completely, a very convenient design feature. This console and leaning post drape cover is convenient and quick to set up. Attaches to the piping of the hard-top and creates a curtain coverage around the entire console and leaning post. If the original paint color of Yamaha is not for you, opt in for the custom painted engines. 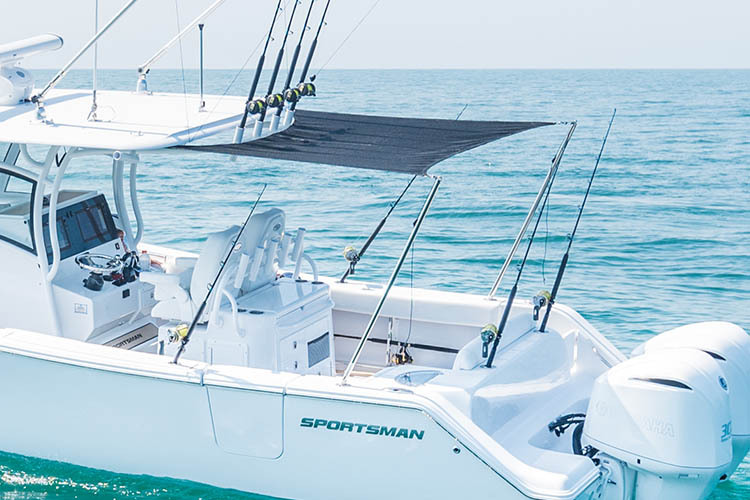 Offered in White and Black, they surely will match the color theme of your Sportsman Boat. The paint job includes new custom silver decals to replace the original ones. If the boat or package includes a light hull color already and you would like to a Steel Blue or Black hull color, this is the upgrade charge. The perfect combination of durability, good looks and soft feel. The ComfortGrip PowerWheel features a unique rubber finger grip that provides ultimate comfort and with the ComfortGrip PowerKnob make precision turns. 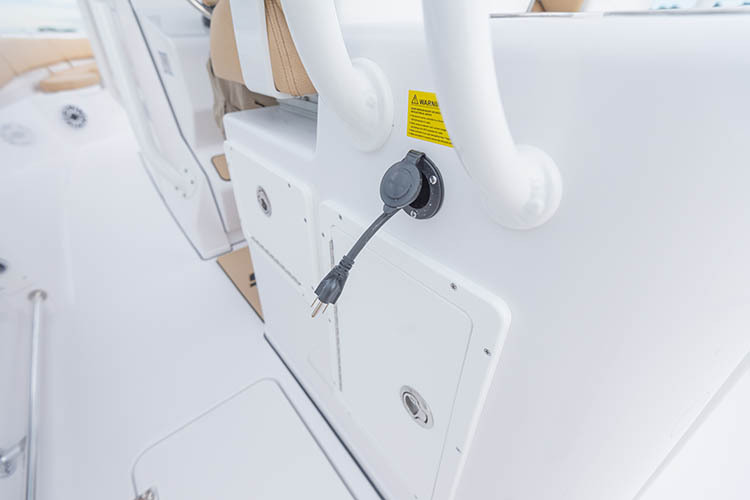 This gull wings option serves as an extension to the spray shield with additional triangular coverage for both sides of the console and it is designed to block off any spray from the side. 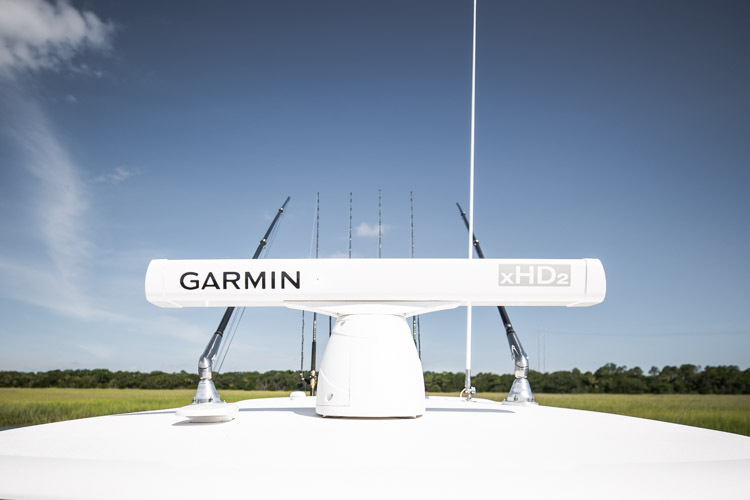 Adds additional gunwale rod holders to your Sportsman. For the ultimate addition, opt in for the half tower option. 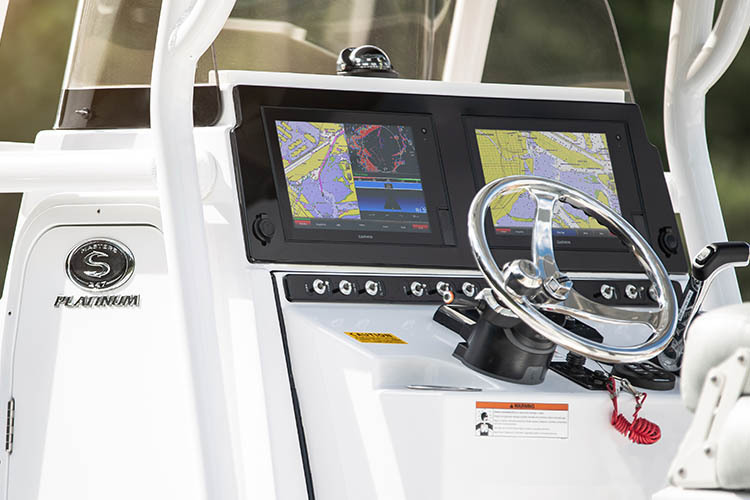 This adds a full helm with instrumentation at the tower level with leaning post, trim tab controls, engine controls and an additional 9" screen that shares all of the same data as the rest of the system. 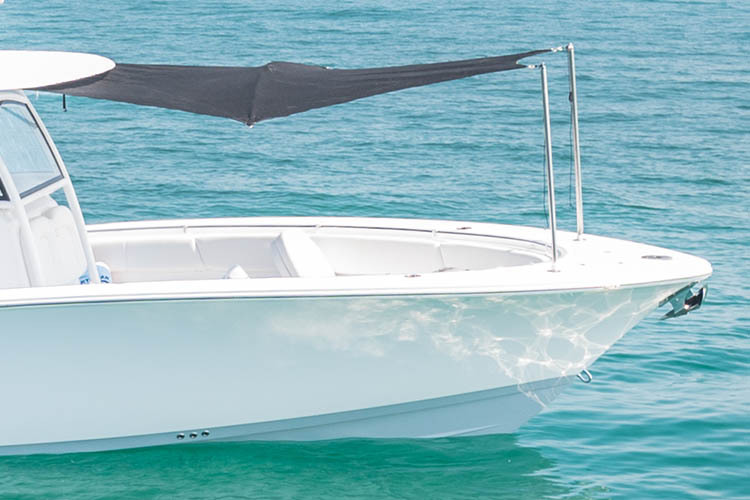 Made out of Sunbrella® material, this full boat cover will protect your boat from the weather. Keep your batteries fully charged while you are away with this convenient trickle charger. The charger plugs into a regular 110V outlet and maintains the batteries fully charged by monitoring their charge, recharging as necessary. This porcelain head option includes a freshwater electric porcelain toilet with overboard discharge. It has the convenience of just pushing a button to discharges the holding tank overboard. Making this a very easy and convenient way of having a fully functional toilet on your boat. 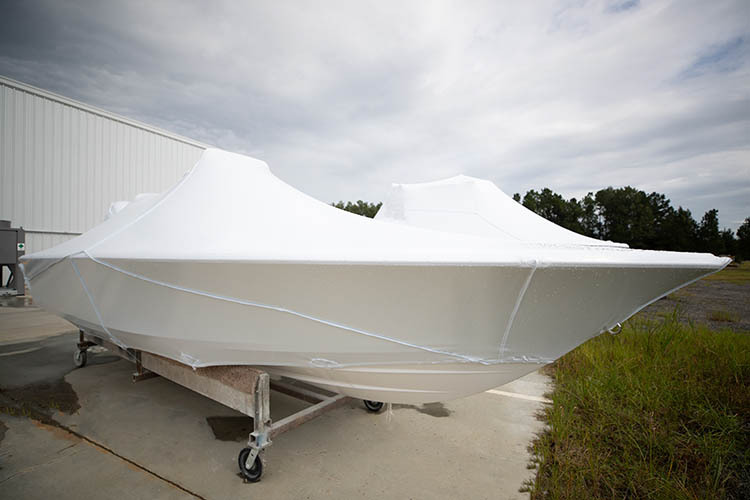 Adds a strong protective and durable coating to the metals on the boat and is offered in White or Black to match the boat's color scheme. Adds the same protective coating to the Ski Tow Bar option. 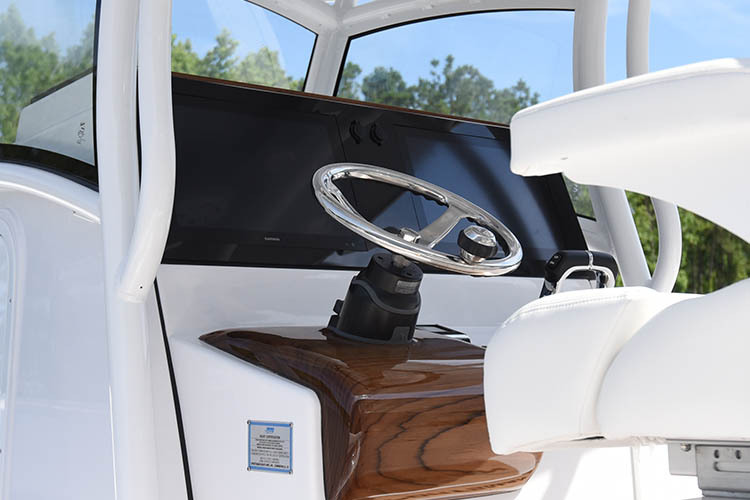 This package adds teak accents to the helm and a stunning steering wheel pod that will become the focal point of the console. 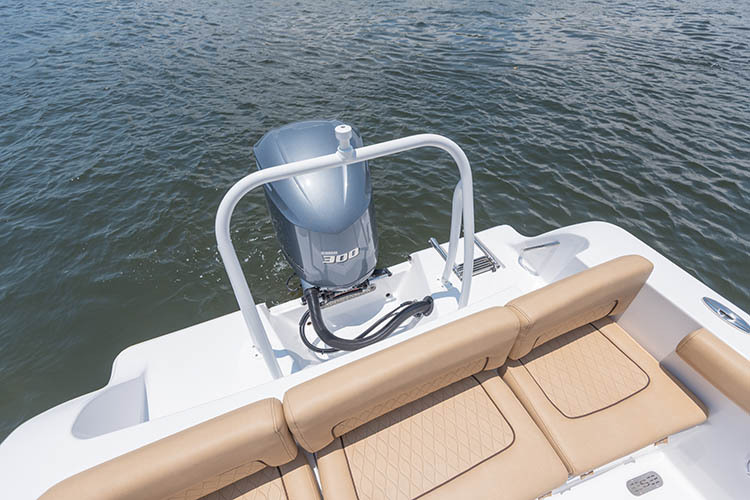 ProTap Controller takes the guesswork out of setting a jack plate height or engine trim every time you get underway. Use ProTap to quickly recall your pre-memorized positions. Requires the jack plate option. 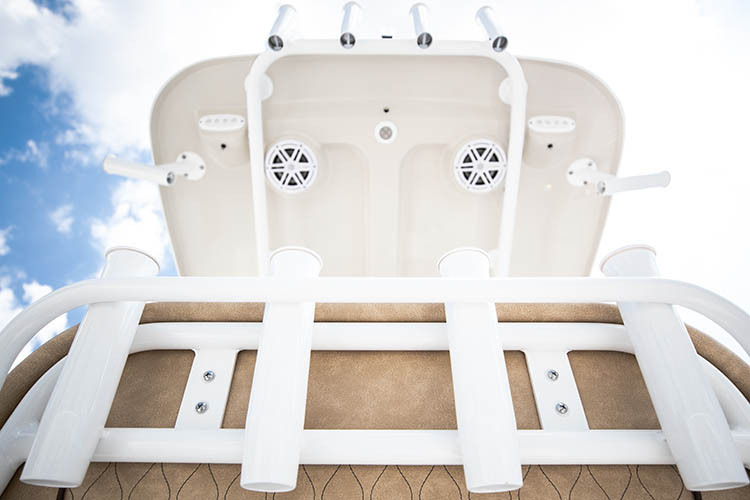 A Ski Tow Bar adds a new set of fun family activities during your boating outings. For those very sunny days, this sun shade kit will be a lifesaver. It includes two poles, a breathable fabric canvas and a carrying bag for storage. This option is for the front of the boat. For those very sunny days, this sun shade kit will be a lifesaver. It includes two poles, a breathable fabric canvas and a carrying bag for storage. This option is for the rear of the boat. 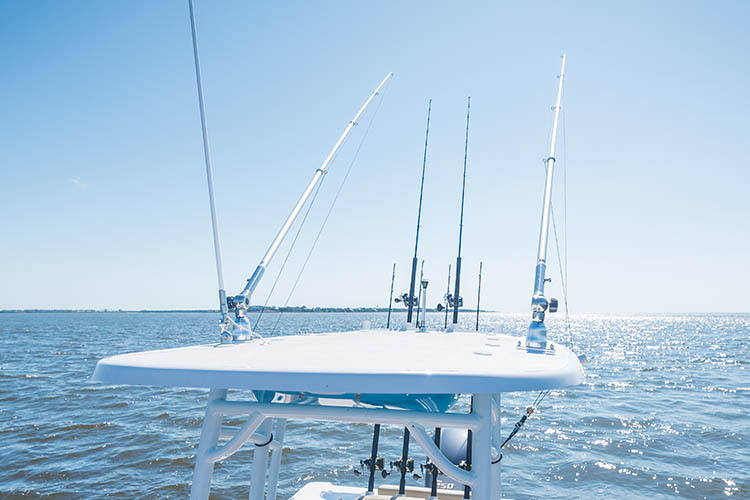 With a rugged design, these outriggers will provide years of reliable service even in the most challenging saltwater applications. They feature a locking head and the latest in sleek and ergonomic shape. They are matched up to Taco's 15' poles and come with the basic rigging kit. This is a one-time use transportation cover used for transporting long distances. 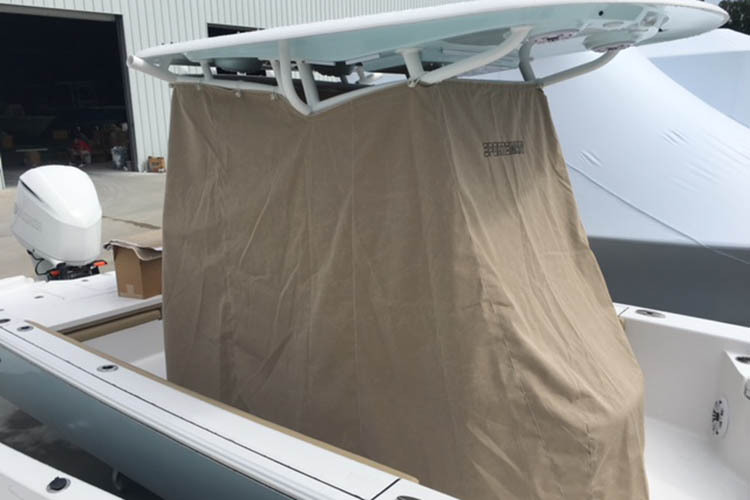 This canvas covers the top vents on the tempered glass windshield and closes out any openings to prevent any wind coming through on the cooler days of the year. 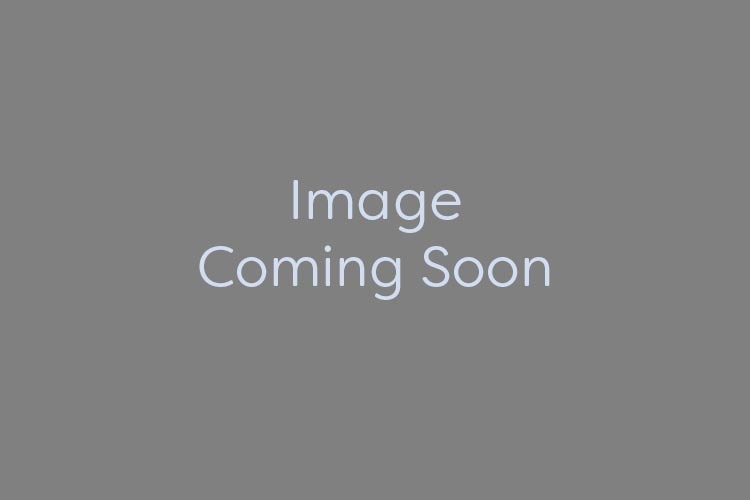 Garmin GPSMAP® 1242xsv Touch MFD 12"
* The information provided is intended for informational purposes only and is subject to change without notice. Information may be changed or updated without notice. 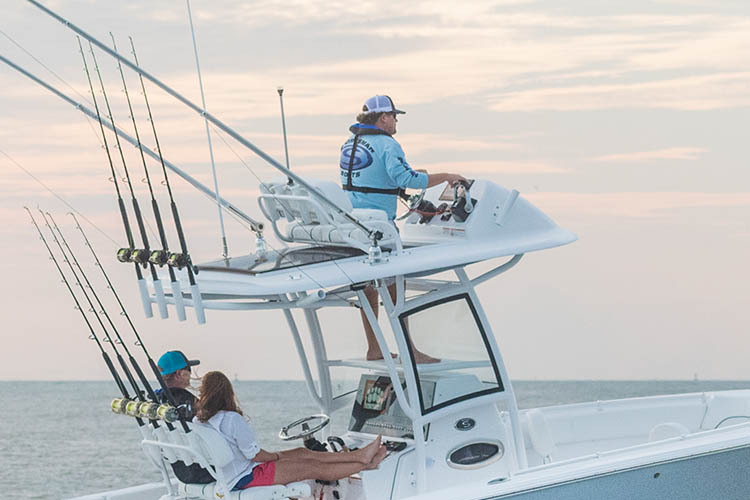 Sportsman Boats may also make improvements and/or changes in the products, pricing and/or the programs described in this information at any time without notice. contact your local dealer for details. Not all options listed can be equipped at the same time. Some options may require other options.